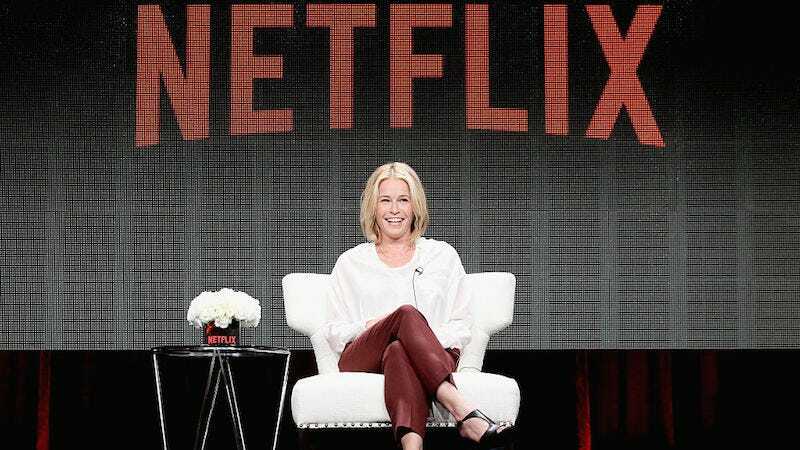 Netflix reportedly paid Chelsea Handler $10 million for a number of projects, including the successful docu-series Chelsea Does, and the more weakly received talk show Chelsea. Now, nine episodes into the show’s run, showrunner and executive producer Bill Wolff is leaving. The show is planning to continue its regular production schedule, and will not add a new showrunner for the foreseeable future. Handler continues her singular vision singularly.